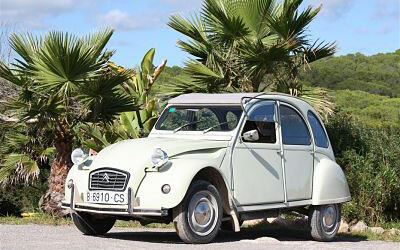 Travel back in time to the seventies driving this classic car of French origin. Explore the natural environment of Ibiza, with its indigenous villages, and discover virgin beaches, enjoying yourself on the wheel of this mythical car. Enjoy the German classic car par excellence. 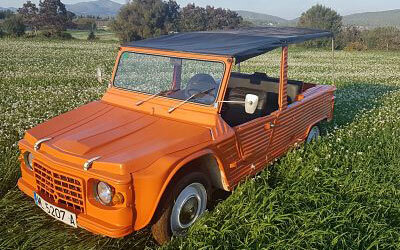 A robust car, strong, hippy and chic at the same time. 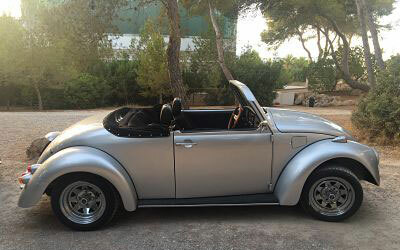 Driving this car will make you feel special, enjoying everything Ibiza has to offer at day or night. Without a doubt, a wonderful addition for your next visit to Ibiza. Travel back in time to the seventies driving this mythical car of French origin. 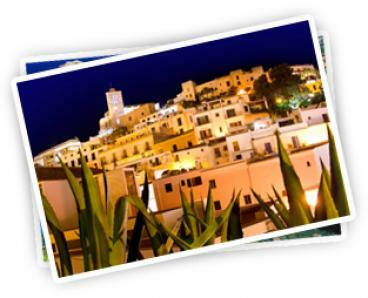 Explore the island of Ibiza in a different way, enjoying its villages, folks, and beaches. Without a doubt, another way of life. 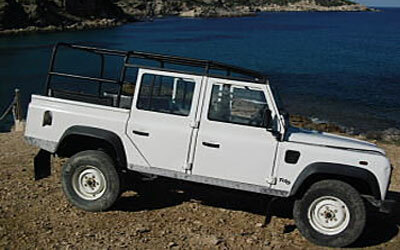 For the lovers of off road driving and strength, we put at your disposal this authentic all terrain vehicle. With it you can reach any part of the island, explore the almost inaccessible, and enjoy the other side of Ibiza. The car has a removable roof and seats 8. Multicultural and cosmopolitan ambience mixed with ancestral traditions. Virgin beaches and hidden bays with crystalline waters, hippy culture, alternative life styles, movie stars, and a big part of the international jet set. Extravagant clubs and authentic Spanish restaurants, fashionable or traditional. 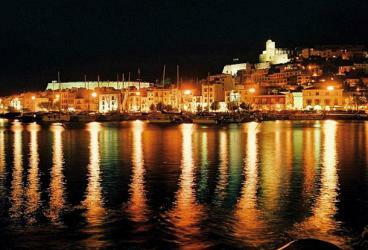 That's what Ibiza is like, its light, its folks....a magic spirit which will inspire you. Let yourself be seduced by the white island, Ibiza is waiting for you!